Karen Guzman | Author of "Homing Instincts"
“In Karen Guzman’s pitch perfect debut novel, the past holds Seth prisoner with exquisite power, keeping him frozen in time. Yet he may not be the only one. This is a splendid book.” — Jacqueline Sheehan, New York Times Bestselling author of Lost & Found and other novels. “Karen Guzman’s eye for detail and ear for the truth take us on a journey of redemption as Seth gingerly tests a new relationship and tries to put his troubled past into perspective. Homing Instincts wraps a complex contemporary tale in lyrical language and astute insights.” — Susan Schoenberger, author of A Watershed Year and The Virtues of Oxygen. 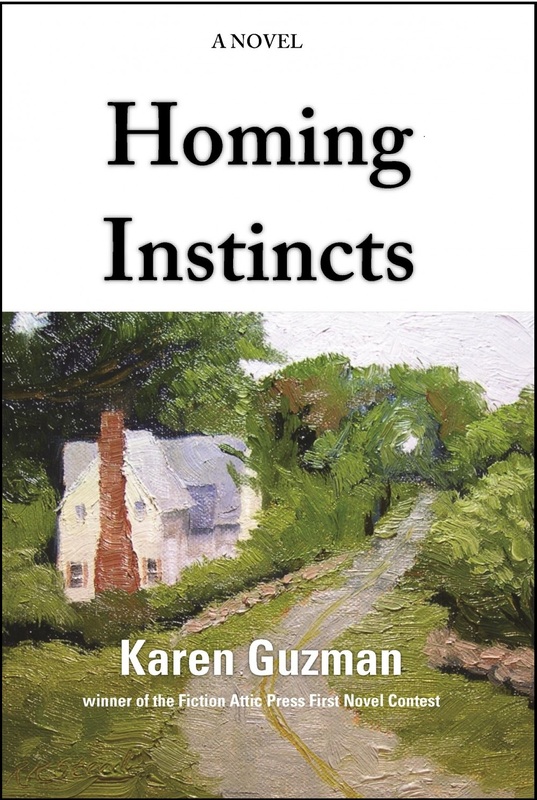 My debut novel, Homing Instincts, was published on November 4, 2014, by Fiction Attic Press. “A story of loss, change and transcendence, Homing Instincts follows Seth Hingham, a young wildlife biologist, as he struggles to put his life back together after his news anchor girlfriend walks out on him and his much loved father dies. Seth longs to retreat to the pristine woodlands of New England’s North Country, where he believes anonymity and solitude will heal his wounds. But a slow job market up North forces him to first make a detour to his Connecticut hometown. I am thrilled to announce that my short story, Hunger, won Possibilities Publishing Company’s 2018 anthology contest and is featured in the new collection Triumph: Stories of Victories Great and Small. Don’t you love the cover? Available via the publisher or on Amazon. Follow the Write Despite blog I host with my friend and fellow writer, Cathy Cruise.